MOSCOW (Sputnik) — The combat readiness of two Utes coastal silo-based missile systems in Crimea was restored and confirmed by successful launches of the P-35 cruise missiles, a source the Crimean in law enforcement agencies told RIA Novosti. "Previously, the newspaper of the Pacific Fleet "Battle Watch" reported the location and setting on combat duty divisions antiship DBK "Bastion" on the island of Iturup and DBK "Bal" on the island of Kunashir Kuril chain, as well as the preparation of these units to the training of missile launches." Apparently another "Bastion" division was placed on Kunashir last year, so this would equal a brigade of Coastal Artillery Rocket assets. A division generally is 3-4 firing units with commanding support units. The altitude is 15 km and below that there is another 200 km mentioned what does it say ? 15km is not altitude, but Minimum firing range. The coastal defense is one of the major tasks placed before armed forces of world`s littoral states. Therefore, the security of green waters is a pivotal issue, and reliable, and combat-effective systems are required to fulfill it. 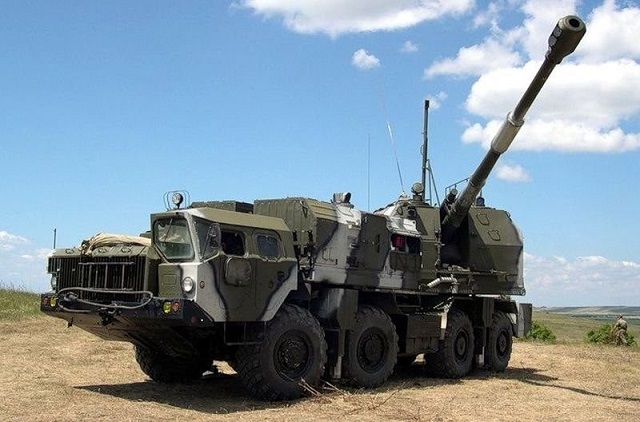 Russia`s Rosoboronexport company (a subsidiary of the Rostec state corporation) offers modern coastal defense weapons such as the A-222E Bereg-E mobile coastal artillery system and the Bal-E coastal defense missile system. The A-222E Bereg-E mobile coastal artillery system is intended to destroy and suppress enemy`s sea and coast-based assets and to provide protection against attacks of surface combatants. The system can effectively engage sea and ground targets moving at high speeds. Bereg-E is comprised of a central post with a fire control system, six self-propelled guns, and one or two combat duty support vehicles. The central post is intended for controlling of battery firing. The fire control system features a radar, a TV/optical station with a laser rangefinder, sights, a digital computer, and other electronical subsystems. It can operate even in an electronic countermeasures environment. The self-propelled guns are equipped with optical/mechanical sights, ballistic computers, and laser rangefinders. They can deliver fire by remote commands from the central post or in the self-contained mode, using the aforementioned pieces of equipment. The guns are loaded semi-automatically with complete rounds. They can fire high-explosive and anti-aircraft projectiles. The combat support vehicles provide power supply and rooms for the crews` rest, messing, and medical treatment. The components of Bereg-E are mounted on MAZ-543M 8x8 wheeled all-terrain trucks. 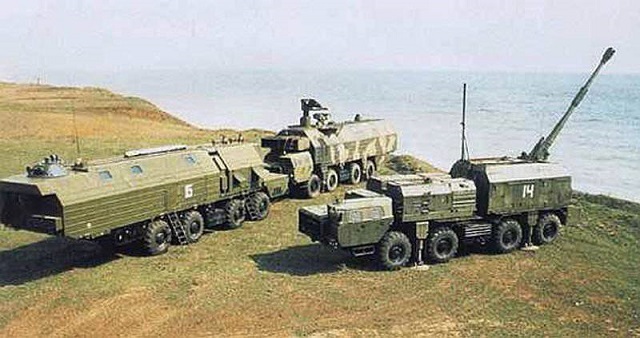 According to the specifications of the Bereg-E mobile coastal artillery system in the official catalogue of the Rosoboronexport company, it has a caliber of 130 mm, an effective firing range of 20 km, a moving sea target engagement time of 1-2 minutes (with a kill probability of 0.8 ), a number of targets engaged in the simultaneous mode of 1-2 (with any gun combination), and a firing rate of 12-14 rounds per minute. The Bal-E coastal defense missile system is designed to control territorial waters, to protect components of naval infrastructure, to defend shore areas, and to protect maritime communication lines. It can detect, track, distribute, and engage surface targets with anti-ship cruise missiles. In the basic configuration, the Bal-E system includes up to two command-and-control vehicles, up to four self-propelled launchers, up to four transporter-loaders, and a communications vehicle. Bal-E can be configured in accordance with a customer`s request. The system can boast a high level of combat efficiency. It features a short deployment and combat readiness time, as well as high mobility and reliability. According to the specifications, the Bal-E coastal defense missile system has a maximum firing range of up to 120 km and an into-action time of less than 10 minutes. Each self-propelled launcher is armed with eight missiles. The components of the Bal-E system are mounted on all-terrain wheeled vehicles. On March 29, 2017, the Japanese newspaper Sankei Simbun published photographs of a new tent-mobile shelter, which it had built in the Russian garrison on the island of Kunashir (Kuril Islands), as well as the process of building other objects there (in particular, barracks and Residential buildings). The shelter houses a battery (division?) Of the anti-ship mobile coastal missile system 3K60 "Ball" of the Russian Navy. Recall that information on the deployment of anti-ship mobile coastal missile systems 3K60 "Bal" (on Kunashir) and 3K55 "Bastion-P" (on Iturupe) from the 72nd separate coastal missile brigade of the Coastal Troops of the Pacific Fleet in the Russian Kuril Islands appeared in the Russian The media in November 2016. George1 wrote: MOSCOW (Sputnik) — The combat readiness of two Utes coastal silo-based missile systems in Crimea was restored and confirmed by successful launches of the P-35 cruise missiles, a source the Crimean in law enforcement agencies told RIA Novosti. This seems to be a silo based variant of the SS-C-1 Redut, that was present in Crimea and conserved by Ukraine. Being not mobile is a clear disadvantage compared to the rest of coastal missiles. It means a call for bombing the position. Launch site under the S-300PM coverage from Sevastopol. Missile launches against a sea target from the coastal complex "Bastion-P"
A notorious official clip of the Ministry of Defense of Russia demonstrating missile launches with supersonic anti-ship missiles 3M55 "Onyx" on a sea target from the coastal mobile anti-ship missile complex 3K55P "Bastion-P". The report says that the missile division of the Pacific Fleet, having completed a 200-kilometer march from a permanent deployment site to one of the training grounds for the fleet, deployed military equipment in an unequipped position and launched a missile at a sea target located more than 150 kilometers from the coastal complex "Bastion"
Battle shooting of the coastal missile complex "Bal" within the framework of the exercise "West-2017"
Official photo report of the Ministry of Defense of the Russian Federation on the firing of the anti-ship mobile coastal missile system 3K60 "Bal" of the Baltic Fleet as part of the exercise "West-2017". The division of the coastal missile complexes 3K60 "Bal", supplied by industry in 2016, is a part of the 25th Coastal Coastal Missile Brigade of the Coastal Troops of the Baltic Fleet (dislocation to the Don, Kaliningrad region). An official video of the Ministry of Defense of the Russian Federation demonstrating the training of combat calculations of 3K55P coastal mobile missile systems "Bastion-P" of the Baltic Fleet in the Kaliningrad Region. The Bastion-P complexes, delivered in 2016, are part of the 25th Coastal Missile Brigade of the Baltic Fleet. Bal is coastal system based on Kh-35 SS missile, of the size, powerplant and range similar to Harpoon. Bastion is based on Onyx missile, ramjet powered, 2-3M speed, 200kg warhead. Due to supersonic speed and different airdrag depending on speed and height the range can differ seriously, from 100NM sea skimming to 300NM at high trajectory. ROSTOV-ON-DON, February 22. /TASS/. 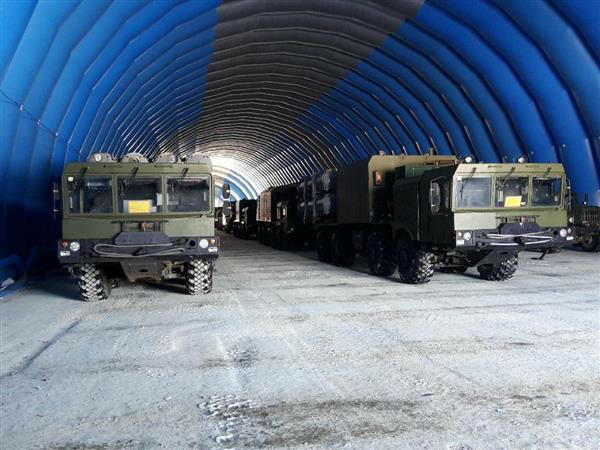 A battalion of the Bal coastal defense missile systems has arrived at the Caspian Flotilla base in Dagestan in North Caucasus, Commander of Russia’s Southern Military District Alexander Dvornikov said on Friday. "The formation of a separate battalion of the Bal coastal defense missile systems in Dagestan has actually been completed," the commander said. The battalion’s main task is to protect the places of the stationing of Caspian Flotilla warships and units on the republic’s territory in areas vulnerable to amphibious assaults, the commander stressed. Also, "work has actually been completed to form a missile brigade in the Astrakhan Region" in south Russia, the commander said. The Bal coastal defense missile system is armed with Kh-35 subsonic low-altitude anti-ship missiles and is capable of destroying enemy ground and naval targets at a range of about 130 km. The Kh-35 can hit warships with a displacement of up to 5,000 tonnes. The system’s full salvo of 32 missiles can frustrate a combat mission of an enemy’s large naval strike group, its amphibious force or convoy. The modernized Kh-35E missile with a range capability of up to 300 km can be guided by a drone. Defense Ministry ahead of time will receive division PBRK "Bastion"
The development of such complexes in the future corresponds to the global trends of the development of rocket weapons. This is, first of all, an increase in the speed of a missile’s flight to hypersound, the range of action of missiles and complexes as a whole, the universality of action by targets, and uniformity over carriers. Well no, if it was Zircon then they would call it something other than Bastion... this sounds like upgraded Onyx... so mach 5 and rather longer range. GarryB wrote: Well no, if it was Zircon then they would call it something other than Bastion... this sounds like upgraded Onyx... so mach 5 and rather longer range. Most probably it will be updating Onyx AND including Zircon in Bastion. Both missiles are compatible in terms of their launcher after all. Not only US can react short term to the end of INF, now we will see what the technical reserve of each side was. LMFS wrote: Most probably it will be updating Onyx AND including Zircon in Bastion. Both missiles are compatible in terms of their launcher after all. Not only US can react short term to the end of INF, now we will see what the technical reserve of each side was.